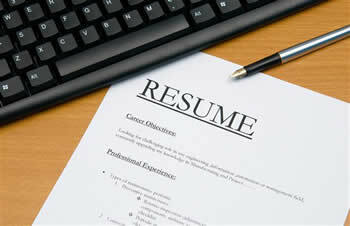 A resume is the most important document while applying for a job. Hence, it must be effective. A resume is your advertisement; it is what upsells you to the employer. A résumé’s job is to impress the hiring manager with your credentials and experience, and land you that interview. However, in order to do that it must be good at its job; it must be effective. But what constitutes an effective resume, and how can you make your resume more effective? Contact information: the person’s name, address, phone numbers, and email. Education: the person’s education history, what degrees he has earned, etc. Work History: the person’s previous work history and experience. Skills: any and all skills those are applicable to the job. Understand the audience: Read though the job description and find out what skills the employer is looking for. In some instances, you may even call to inquire about the job and skills they are looking for in potential candidates. Once you know what they want, incorporate those points and skills in your resume. This will ensure that your resume make it to the short list. Back up your claims: Don’t let your skills be just boastful words on paper; ensure that you can back up your claims with examples or references. Highlight achievements: Employers understand that just having a job for a certain number of words may not be an achievement; not unless you have something to show for it. So highlight any achievements that you accomplished in your previous jobs. You may even list any and all awards or recognition you may have received. This shows that you are a hard worker, and not just another employee. Don’t be generic: The typical resume is full of clichés, such as claims of being a Team player, having Project management skills and People management skills, and of being Result orientated and a Good communicator; everyone claims this and most times it is barely true, hence recruiters do not keep much score by them. Instead, try being more direct and quantifying the information. For example, instead of ‘Team player’, say that you have ‘Coordinated in teams of more than 5 people in order to achieve project completion.’ This gives the employers proof rather than just empty generic words. Keep it Honest: Honesty is the best possible. While, you would want to boost and appear to be better that the other candidates, do not lie to do so. Because, once your lie does get caught, you would be worse off in their opinion then in the first place.